British boy band Bastille released a new track titled "Torn Apart". The song features on the soundtrack for the film Drive, starring Ryan Gosling and Carey Mulligan, curator Zane Lowe's BBC Radio1. In addition, the track is the first taste of the third mixtape of the band, "VS. Other People's Heartache Pt. III", which contains cover and new songs and may features guest appearances by artists such as HAIM and MNEK. "VS. Other People's Heartache Pt. 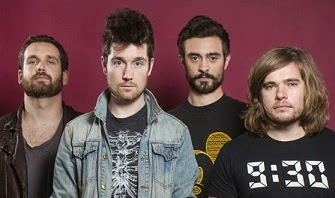 III" will be available on November 30, while the band’s second studio album will be released next year.